The value of the merger and acquisition (M&A) transactions with any Middle Eastern and North African involvement during the first nine months of the year has hit $45.1 billion, up 65 per cent over the same period last year, thus hitting an eight-year high, according to Refinitiv, formally the financial and risk business division of Thomson Reuters. Deals with a Mena target reached an all-time high rising to $27.1 billion, up 89 per cent from the same period in 2017 while inter-Mena or domestic deals were up 106 per cent from year-to-date (YTD) last year, stated Refinitiv in the 2018 Q3 investment banking analysis for the Middle East released today. Driven by Saudi British Bank acquisition of the entire share of capital of Alawwal Bank for $5 billion, the Mena inbound M&A currently stands at an all-time high of $13.1 billion while outbound M&A increased from $8.5 billion in the first nine months of 2017 to $12 billion so far this year. Energy & Power deals accounted for 28.9 per cent of Mena involvement by value, followed by the financial sector with a 24.5 per cent market share but counting with 91 transactions, 32 more than the 59 recorded in the Energy & Power industry. Goldman Sachs currently leads the Q3 2018 announced any Middle Eastern and North African involvement M&A league table. JP Morgan and Morgan Stanley follow in second and third place. According to Refinitiv, the Mena investment banking fees totalled an estimated $684 million during the first nine months of 2018, down 8 per cent less than the value of fees recorded last year. The debt capital markets underwriting fees too fell 13 per cent y-o-y to $180.5 million. However, it was still the second highest fee volume for the region since Refinitiv's records began in 2000. Equity capital markets fees increased 45 per cent to a three-year high of $74.8 million. Fees generated from completed M&A transactions plunged 44 per cent to $101.6 million hitting the lowest first nine months since 2005. Syndicated loan fees surged 8 per cent to $327 million from Q3 last year. Debt capital markets fees accounted for 26 per cent of the overall Middle Eastern & North African investment banking fee pool, the second highest market share since 2001. Syndicated lending fees accounted for 48 per cent while the share of completed M&A advisory fees fell to its lowest level on record, only accounting for 15 per cent of the market. Equity capital markets underwriting fees accounted for 11 per cent. Citi earned the most investment banking fees in the Middle East & North Africa during the first nine months of 2018, a total of $57 million for a 8.3 per cent share of the total fee pool; also leading in the M&A advisory league table. JP Morgan topped both the completed ECM and Syndicated Loans fee rankings with 13.9 per cent and 7.7 per cent of fees, respectively. DCM underwriting was led by Standard Chartered with $28.3 million in ECM fees, or a 15.7 per cent share. As to Mergers and Acquisitions (M&A), the value of announced transactions with any Middle Eastern & North African involvement reached $45.1 billion during the first nine months of 2018, 65 per cent more than the value recorded during the same period in 2017 and an 8-year high. As to Equity Capital Markets, Middle Eastern and North African equity and equity-related issuance totalled $7 billion during the first nine months of 2018, a 101 per cent increase year-on-year. With only $884 million, IPOs represent 12.6 per cent of the region's ECM issuance, down from 36.7 per cent at this time last year. Orange Egypt follow-on raised $866 million and stands out as the biggest deal so far during 2018. EFG Hermes leads the Middle Eastern and North African ECM ranking with a 17.7 per cent market share, followed by JP Morgan and UBS in second and third place, respectively. While the debt capital markets showed a 12 per cent decline compared to Q3 2017, debt issuance in the Mena region is at its second highest level since the Refinitiv records began, reaching $73.1 billion so far this year. 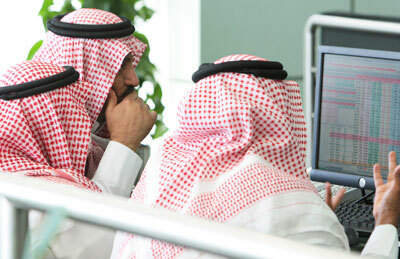 Saudi Arabia was the most active nation in the region accounting for 26 per cent of activity by value, followed by the UAE with 24.7 per cent. International Islamic debt issuance decreased 24 per cent from Q3 2017 to reach $31.4 billion so far during 2018.